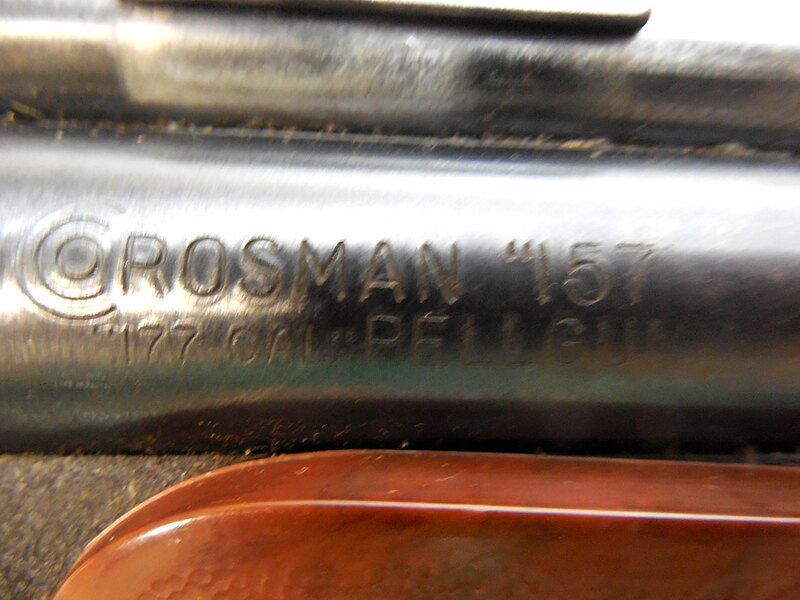 The Crosman 157 is a .177 caliber CO2 single powerlet pistol. 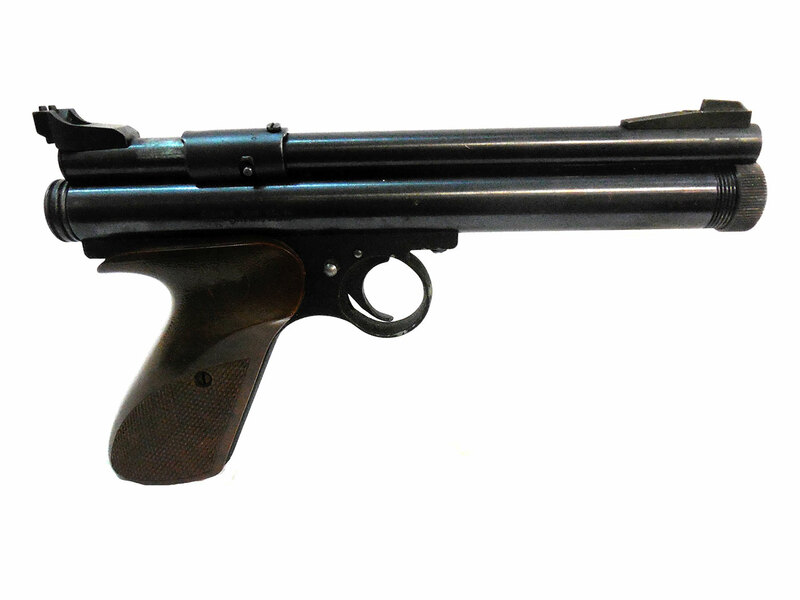 This single-shot pistol has a rotating locking knob which identifies it as the first type first variant of the model 157. This pistol does not work, and it may not have all of its original parts. 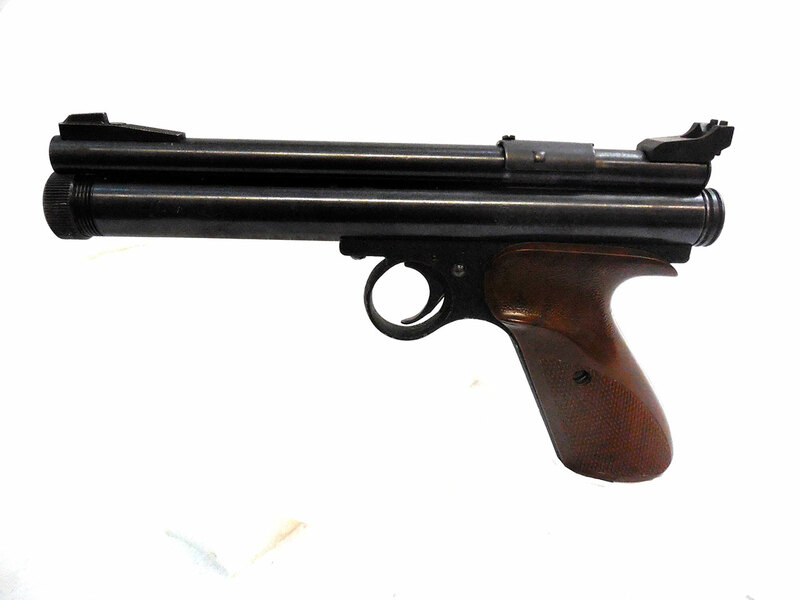 This pistol is in has 95% of its original finish, and the grips are in good condition.